Congratulations on taking the first step towards the fitter, healthier and slimmer you! If you haven’t done so already, please access the food diary (from the Food Diary tab). The first time (only) accessing the food diary please click ‘Start Now” and follow the diary setup including validating your food diary voucher code which you will have received after signing up. (Please check your spam folder if you have not received the email) All other times accessing the diary please use the logon details that you created during setup and login at the top right hand corner of the diary page. If you have previously registered for the 2 Day Free Trial, you DO NOT have to register again. Just log in as normal and insert your new voucher code as requested. Over the next few days you will receive handy tips via email to help you get the most out of your food and exercise diary. You also have the Secret Facebook group where you can chat with other dieters using the same system. Only group members can see the posts. To access the group you MUST be invited. If you do not receive an invite from us, please send us an email and we will send you the invite. Once you receive the invite, select the request to join and we shall approve the request. Getting access to the Facebook Group will also enable the Forum tab within the diary for you. Click on the Forum tab to launch the private Facebook group page. Although you don’t have weekly meetings to attend, please feel free to email me your weigh-in results and we can discuss them and keep you on track to hitting your goals and you also have access to the Club Weigh-in within the diary too. For those of you on the go, you can also access your diary through the new Why Weight Ireland App. The App has tools to help you stay motivated as well as the optimised version of your diary so you can quickly add food to your diary while out and about. The App currently is not available on Windows Phones or Blackberry Phones however you can access the optimised diary by typing http://mobilediary.whyweightireland.ie/ into your Windows or Blackberry phone and saving it as a bookmark or an icon. Some members like to “Weigh In With Hannah” each week – All this means is that they tell me what day they will be doing their weekly weigh-in and then each week they just drop me an email telling me their weigh-in result for the week and I will be able to either explain how or why so much has come off or if you have an increase in weight I can give you an explanation as to why this may be happening. 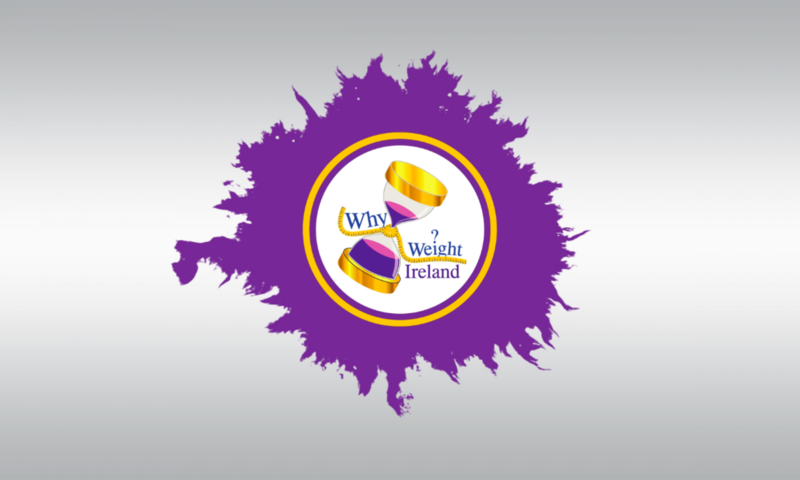 If you are located in the Wicklow/Wexford/Carlow area, you can avail of free weigh-ins from the Why Weight Ireland Studio – please contact me for more details or visit the Studio Tab on the website. Visit the member’s only video tab on the main Why Weight Ireland website and get access to full video workouts including: Body Blast, Core & Legs, Ultimate Legs, WarmUp & Cool Down, as well as all the full exercise demonstrations. These are full, tough workouts so make sure you warmup & cool down correctly. You can add these workouts to the Diary by just typing ‘Hannah’ into the Exercise section. As part of your subscription to Why Weight Ireland you are eligible for a free personalised fitness plan for you to use alongside your food and exercise diary. As the plan will be specific to your own details I will need you to complete the two questionnaires below so that I can create a suitable programme for you to follow. You are under no obligation to complete the questionnaires if you do not wish to avail of your plan. Please be assured that ALL information provided on these forms is strictly PRIVATE and CONFIDENTIAL and will only be used to ensure a safe and effective workout regime. If you haven’t done so already please visit & ‘Like’ our Facebook page. You can also visit & read my Blogs from the main website where you can get more information on topics like the dreaded plateau and other interesting information regarding exercise, weight loss, motivation and lots more.